Robert McMillan's experience in real estate spans over 40 years. He first became involved in real estate while working in a stock and station field where his speciality was selling livestock and wool. Since then Robert has been in various real estate roles and has owned and operated his own real estate business. Robert's guiding philosophy, which he believes has contributed to his success in the industry, is to "treat every seller as if their transaction was the largest financial transaction you have ever undertaken". 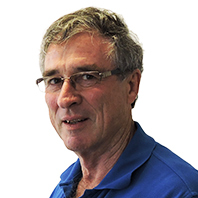 Robert has been training at REIWA for over ten years. His passion for the real estate industry lead him to want to give back to the industry. He specialises in entry level training, rural sales and auctioneering.